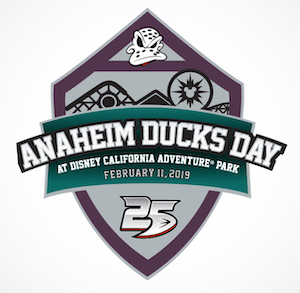 Anaheim Ducks Day: This pin commemorates Anaheim Ducks Day 2019 at Disney California Adventure Park. It is limited edition and released at Stage 17 on Monday, February 11, 2019. 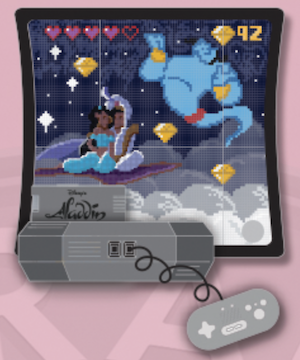 Kingdom Consoles – Aladdin: This is the second pin in the monthly Kingdom Consoles collection at Disney Parks! Limited edition of 4,000 and the retail price is $17.99. Available at Disneyland and Walt Disney World on February 14, 2019. 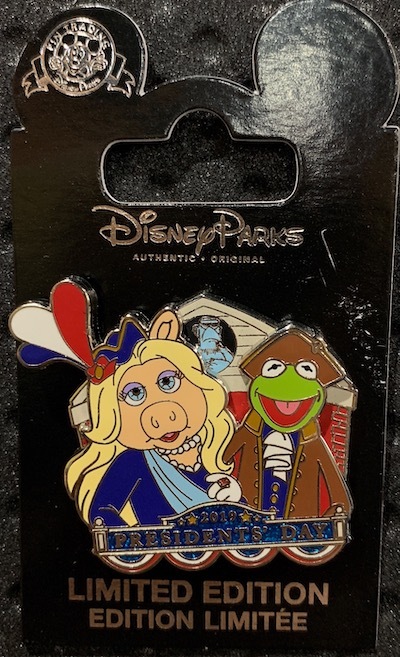 Presidents’ Day 2019: The Disney Parks Presidents’ Day 2019 pin features The Muppets! Limited edition of 2,000 and the retail price is $16.99. 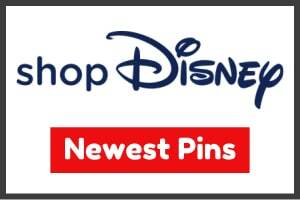 Available at Disneyland and Walt Disney World on February 14, 2019. 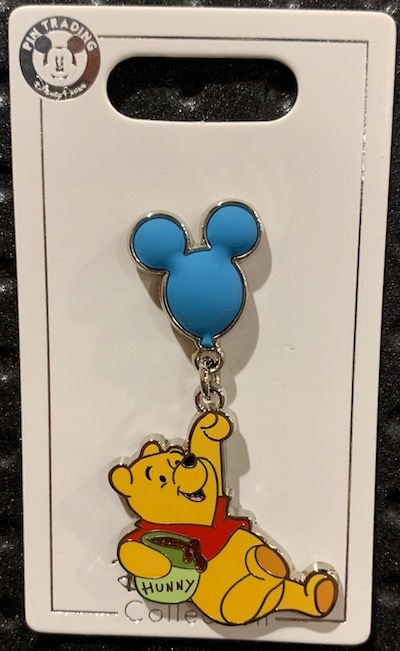 Winnie the Pooh Balloon: New open edition pin at Disneyland, coming to Walt Disney World as well! It features Winnie the Pooh holding his hunny pot and a Mickey balloon. The balloon has a 3D rubber element. Retail price is $12.99. 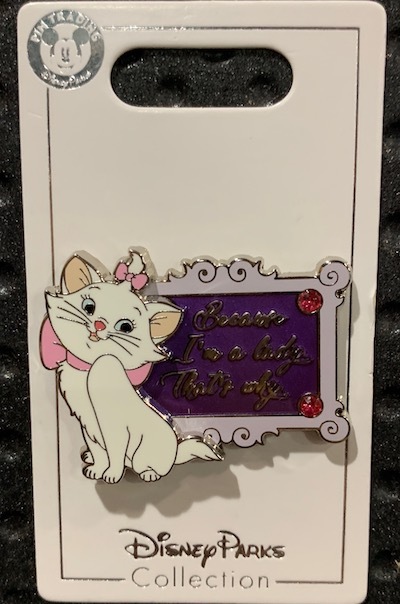 Marie Because I’m a Lady: New open edition pin at Disneyland, coming to Walt Disney World as well! 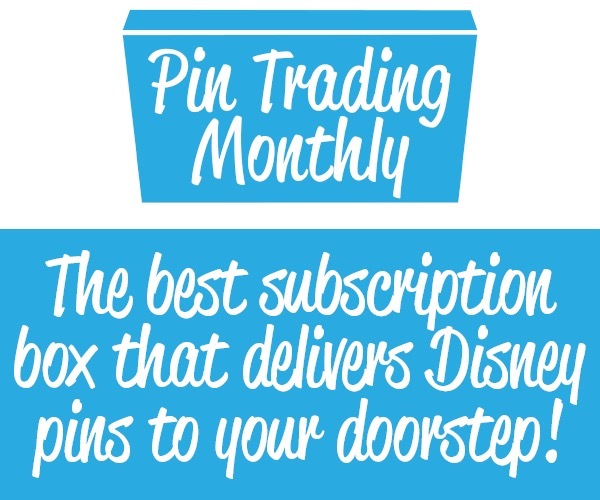 It features Marie from The Aristocats and reads: Because I’m a lady That’s why. 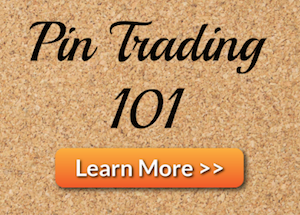 Pin-on-pin design. Retail price is $12.99. 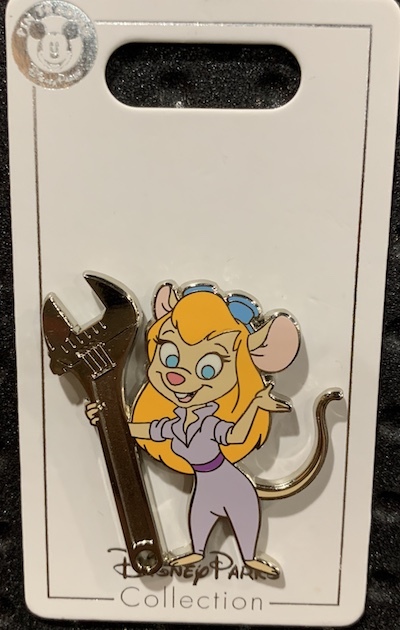 Gadget Hackwrench: New open edition pin at Disneyland, coming to Walt Disney World as well! It features Gadget Hackwrench from Chip ‘n Dale: Rescue Rangers. Retail price is $9.99. 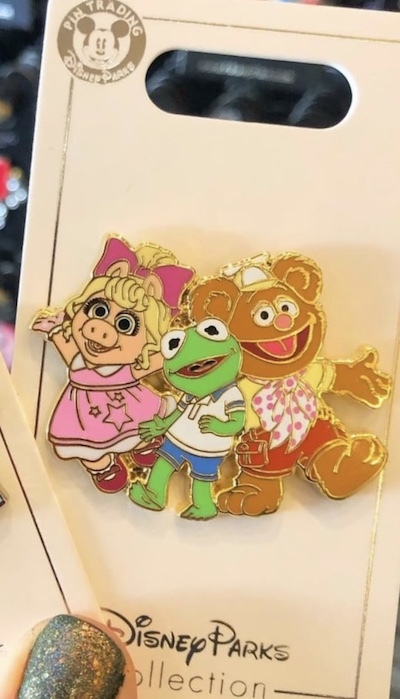 Muppet Babies: New open edition pin at Disneyland, coming to Walt Disney World as well! 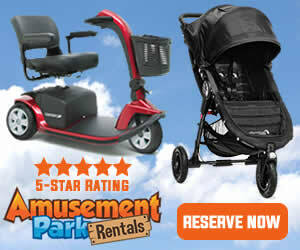 It features Muppet Babies. Retail price is $9.99. 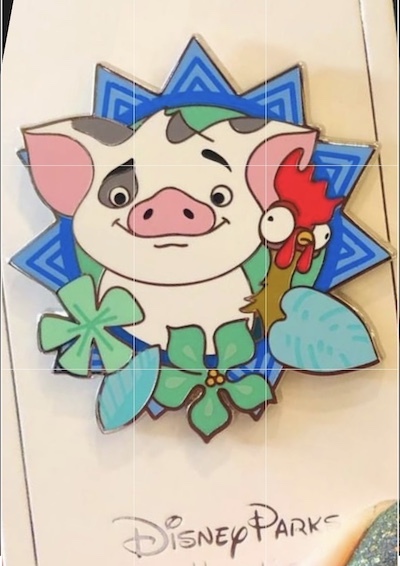 Pua and Hei Hei: New open edition pin at Disneyland, coming to Walt Disney World as well! It features Pua and Hei Hei from Moana. Retail price is $9.99.